Pep up the fashion quotient when you adorn this Exquisite Finesse Floral Printed Designer FashionTunic for Women done with pride by Snehal Creations. 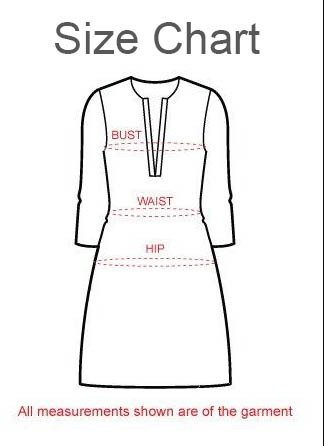 The ban collared tunic is tailored to have an A-shaped silhouette with pintex lining both sides of the neck line. A fancy border in black and yellow lines the cotton tunic at the base and at sleeves and looks befitting. A casual pair of black jeans or chudidar with it and you are good to go!